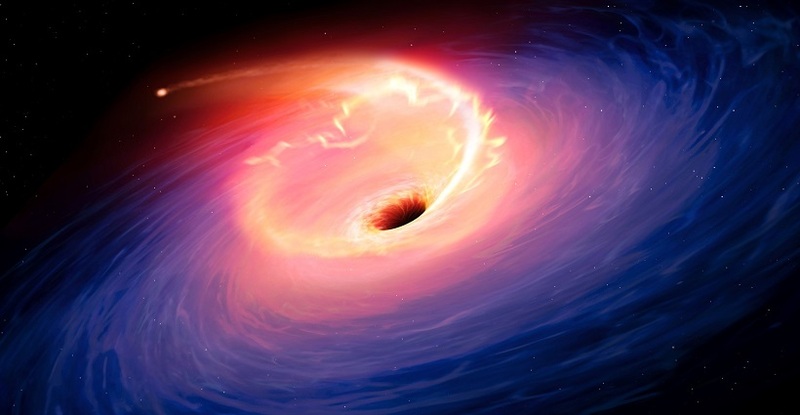 Astronomers based at the University of Sheffield have found evidence that stars are ripped apart by supermassive black holes 100 times more often than previously thought. Until now, such stellar cannibalism – known as Tidal Distruption Events, or TDEs – had only been found in surveys which observed many thousands of galaxies, leading astronomers to believe they were exceptionally rare: only one event every 10,000 to 100,000 years per galaxy. “Each of these 15 galaxies is undergoing a ‘cosmic collision’ with a neighboring galaxy,” said Dr James Mullaney, Lecturer in Astronomy and co-author of the study. Clive Tadhunter, Professor of Astrophysics and leader of the study, said: “Based on our results for F01004-2237, we expect that TDE events will become common in our own Milky Way galaxy when it eventually merges with the neighboring Andromeda galaxy in about 5 billion years. The study, published on Feb. 27 in the journal Nature: Astronomy, was supported by a grant from the UK Science and Technology Facilities Council.